Home / News & Speeches / It’s World Customs Day. Here’s why it matters. The sheer scale of international trade is difficult to comprehend. 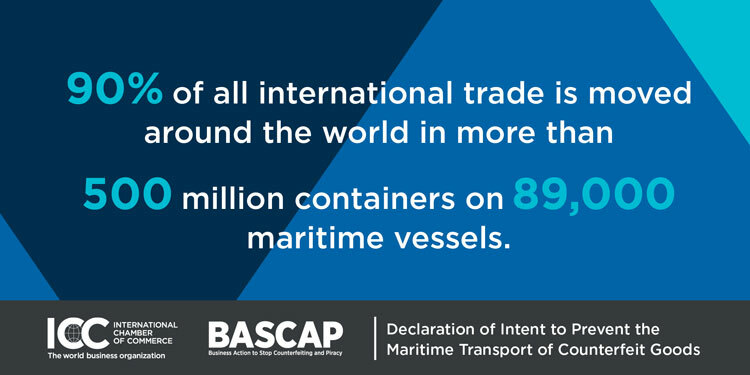 90% of all trade takes place across the world’s oceans, involving over 500 million containers on 89,000 maritime vessels each year. These mountains of goods crisscrossing the globe to hundreds of ports in international supply chains can make it all-too tempting for counterfeiters to ship their products alongside legitimate cargo. It is estimated that counterfeits amount to 2.5% of the total value of global trade, while the global economic value of counterfeiting and piracy could reach US$2.3 trillion by 2022. Customs plays a key role in differentiating between legitimate and illicit goods, all while putting in place policies to make trade as speedy as possible for law-abiding companies. 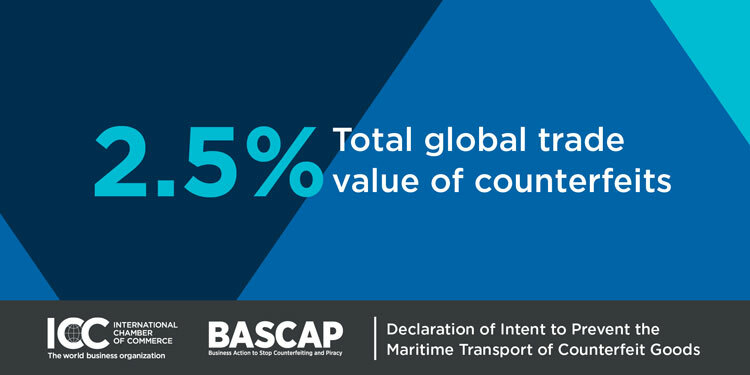 Business Action to Stop Counterfeiting and Piracy (BASCAP), ICC’s anti-counterfeiting and piracy arm, works with both governments and industry players to address the global scourge of counterfeiting and piracy. Customs can sometimes be thought of as the taps that control the intensity of trade. 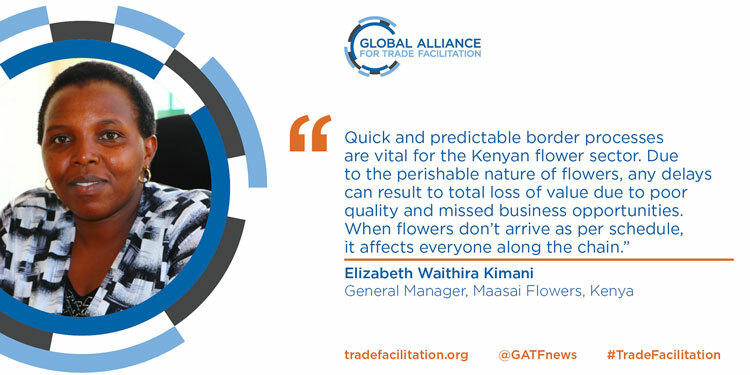 Trade has immense potential to fuel inclusive economic growth and development, and customs policies play a significant role in boosting trade flows. Making customs processes faster and less cumbersome (think less paperwork, fewer long queues) can boost economic activity, creating jobs and growth. Last year, a global deal on speeding up customs and border processes was ratified—the World Trade Organisation’s Trade Facilitation Agreement (TFA). 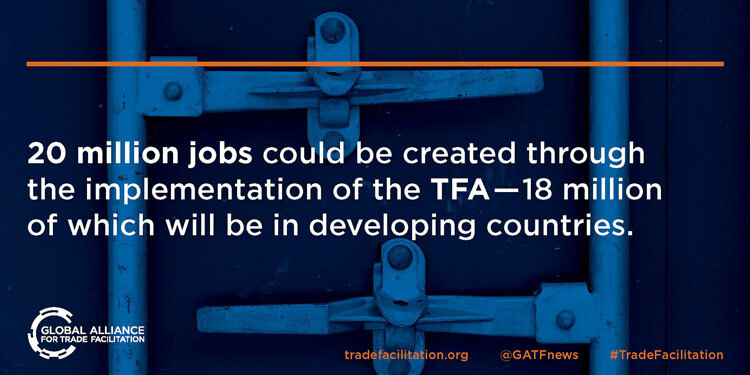 It is estimated that 20 million jobs could be created by implementing the TFA—18 million of which would be in developing countries. 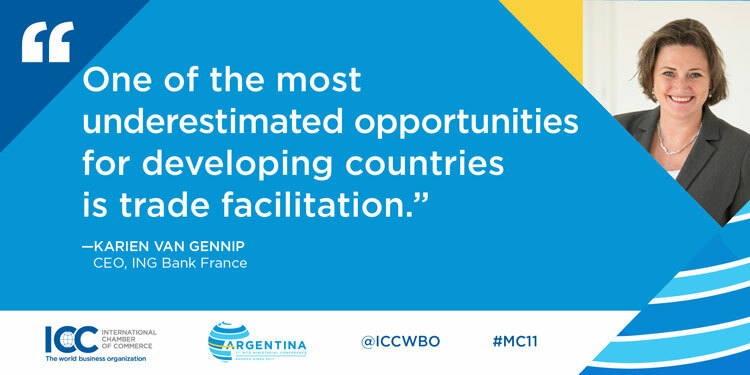 ICC is one of three organisations that comprise the Global Alliance for Trade Facilitation—a unique public-private platform dedicated to international trade facilitation. 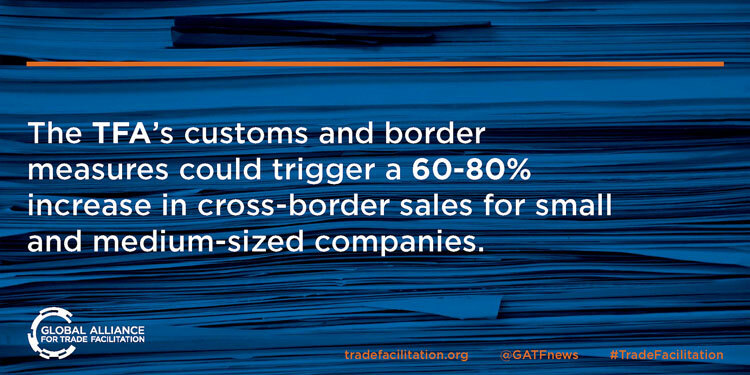 When customs processes are complicated, it’s small business that loses out the most. Entrepreneurs and small businesses often lack the financial and human resources that large companies have to comply with onerous border procedures. This in turn makes it more difficult to compete. By making processes transparent and less costly, customs authorities can grant small business a level playing field, for the benefit of all. 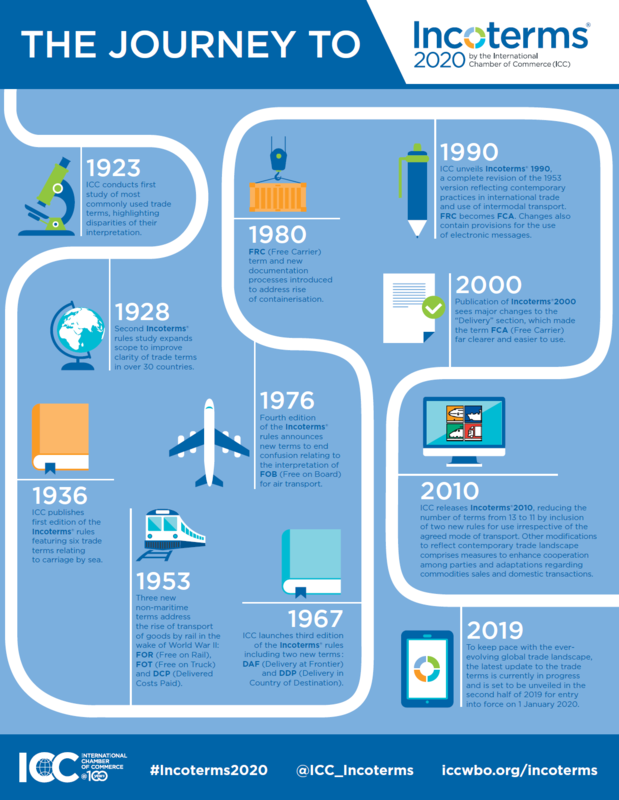 Throughout history, trade has brought different countries and cultures together in a way that few other forces have, spreading goods and ideas around the world. A persistent challenge to such a global practice is how to avoid misunderstanding and bridge the gaps between varying traditions, especially in the sensitive areas of law and business dealings. 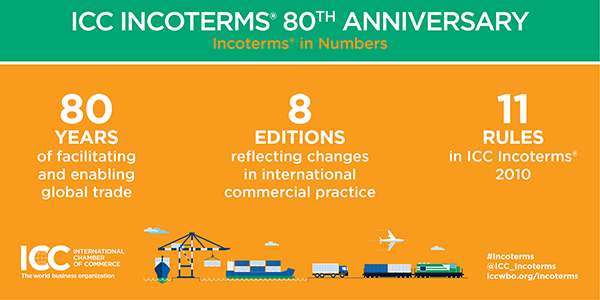 ICC’s famous Incoterms® rules are accepted as the global standard for interpreting the most common terms in contracts for the international sale of goods. Incorporated in contracts for the sale of goods worldwide, they provide guidance to importers and exporters helping trading partners to avoid costly misunderstandings by clarifying the tasks, costs and risks involved in the delivery of goods from sellers to buyers. Regarding customs, the Incoterms® Rules play a key role in how customs authorities value the goods that pass through their ports, helping avoid payment disputes through reference to an internationally-recognised trade language.